Harry Potter Studio Tour Warner Bros.
Tour runs daily excluding 25 December. Full mobility facilities on all tour buses and subtitled screen downstairs for hard of hearing. Our Golden Tours representative will meet you at King’s Cross station at 6.30am for your 7.00am departure. You’ll receive a welcome pack with all the information needed to enjoy your overnight stay in Scotland! Board the train to Edinburgh, settle back and enjoy the smooth journey along Britain’s beautiful east coast. You will arrive in Edinburgh at 11.20am. A great way to get acquainted with the Scottish capital, this hop on hop off open top bus tour will cruise past the best sights Edinburgh has to offer. You’ll see dominating Edinburgh Castle overlooking the city from its perch on the Castle Rock and the Palace of Holyroodhouse, the Queen’s lavish Scottish residence. Take in the vibrant atmosphere of the Royal Mile and remember to get a photo of famous canine statue Greyfriars Bobby! 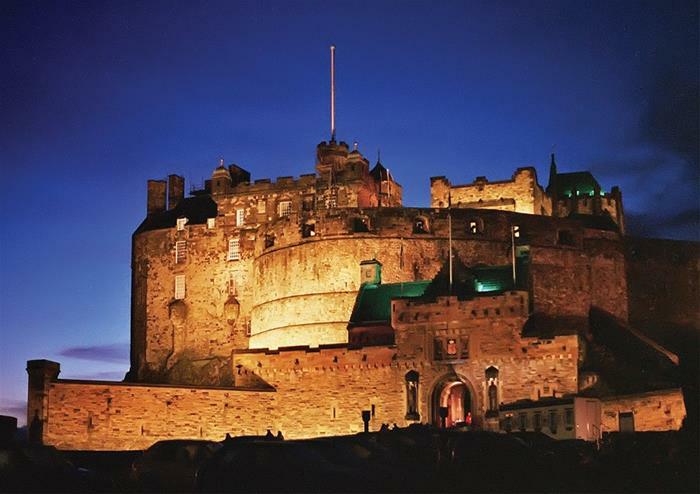 Enjoy free admission to historic Edinburgh Castle, where you can gaze at the sparkling Scottish Crown Jewels and familiarise yourself with some important Scottish history. The castle dates back to the 12th century, and was involved in many key historical conflicts. When you’ve seen everything inside the castle, take a walk outside and enjoy unbeatable panoramic views across Edinburgh. Take the second day to explore Edinburgh as you wish. Whether you want to try some traditional haggis for lunch or delve into some Scottish history at a museum, the choice is yours to decide! Your return train will depart Edinburgh at 5.30pm, arriving back in London at 10.18pm. © Copyright 2019 Golden Tours.